Pinterest is a trusted resource for anyone who wants to upgrade their knowledge in food, fashion, hacks and a variety of other topics. It shows tried and tested methods that you can easily learn and try on your own. So it would make sense that the website’s predictions for this year’s food trends are on point. Almond and soy milk gained popularity in recent years but, this year, it’s oat milk’s turn in the spotlight. According to Pinterest, it may even overtake dairy milk. There are also a lot more recipes for homemade jam, something that will be favored all over the world. Home cooks may start experimenting with bread baking and easily get obsessed with it. In this quiz, you get to decide which version of popular food you prefer. Would you rather stick to the good ol’ classics or would you like to try a trendier version of it? Make up your mind and find out if you have a male or female brain! 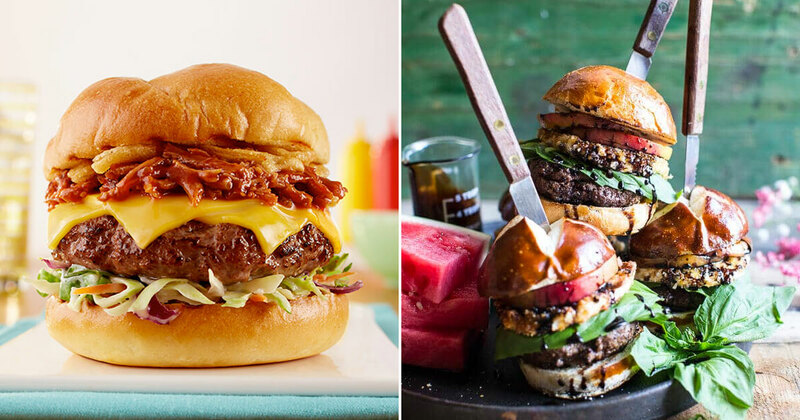 Choose the burger you'd enjoy more: the regular or the Pinterest-worthy. Which cereal bowl would you like for breakfast? Are you a pancake person? Pick one. Which ice cream cone do you want more? Which style of spring rolls do you prefer? Pick the pizza you want a slice from! Which version of sausages would you rather have right now? Pick your favorite muffin between the two! Which grilled cheese looks more appetizing? How would you like your spaghetti bolognese to be served? Do you want a regular ol' milkshake or one from Pinterest? Choose the club sandwich you'd rather have! Pick the bagel that is more inviting! Have some mac N' cheese! Which mouth-watering eggs Benedict do you savor? Can You Pass A 6th Grade Vocabulary Exam?